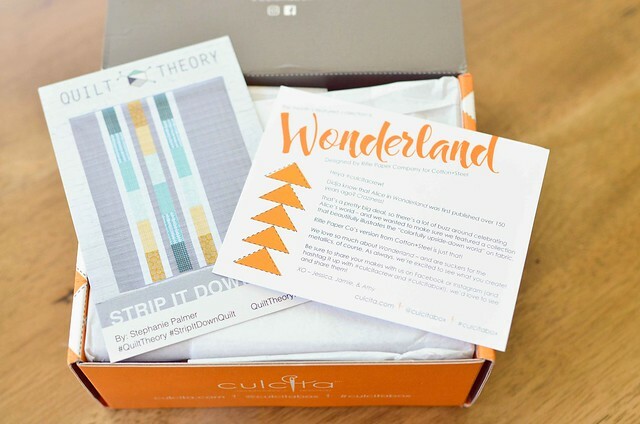 I am really excited about the contents of the Culcita box this month. I am just a tad bit obsessed with this collection. 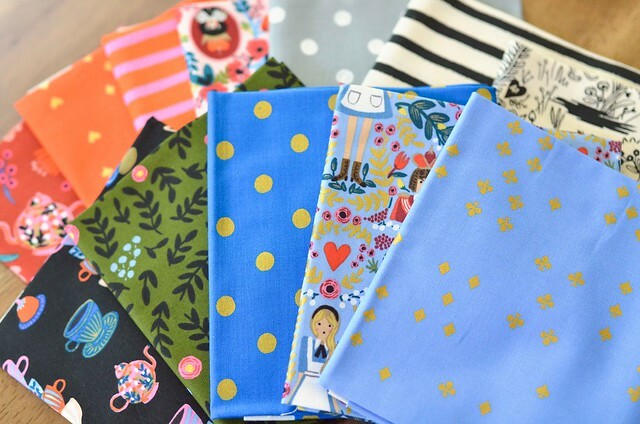 It's Wonderland by Rifle Paper Company for Cotton + Steel and the colors are amazing! 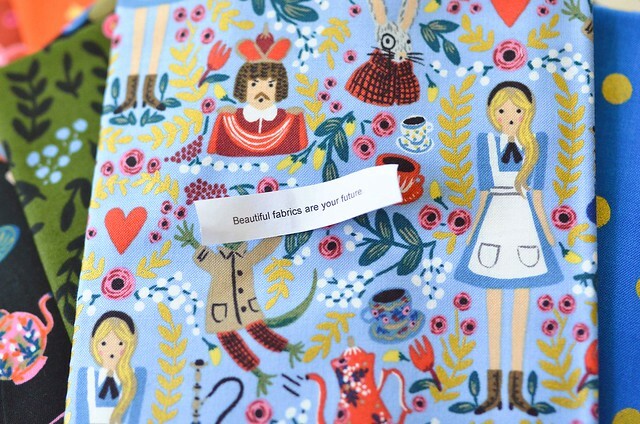 The box had 12 FQs - all from the Wonderland collection, as well as a pattern, a label, and a fortune cookie. The collection has several prints with metallic detailing. My favorite print is this gorgeous Wonderland in Periwinkle. I already started working on a project with it and will be sharing it soon. 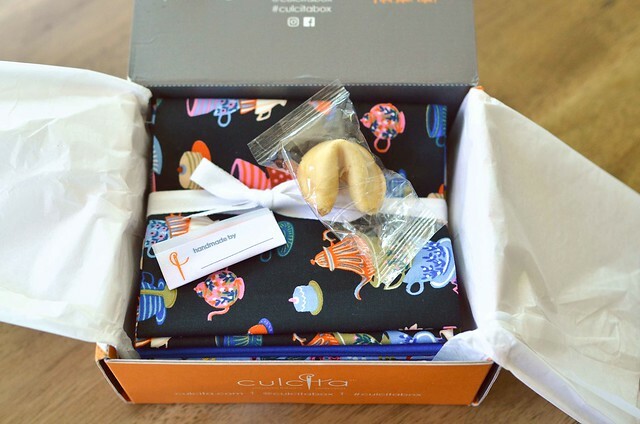 If you would like to pick up this month's box, or subscribe to a monthly Culcita box delivery, check out the options on their website. I am so much thankful to you because just because of your blog I came to know about best & latest fabrics designers as Culcita. And the received fabrics collection is just awesome and I would love to have it. And I will also recommend to my colleagues who are Quality essay UK writers and providing best essay writing services to students. And thanks for sharing quick links for buying a fabrics. Keep sharing with us more such kind of articles which is helpful for working women. Your fabric work is great.